Home » College Students » Job Search Advice » Do I Really Need a LinkedIn Account? Do I Really Need a LinkedIn Account? Is LinkedIn simply another useless profile you have floating around the internet, or is it truly an effective tool for networking and ultimately gaining meaningful employment? Launched in March of 2003 (a year before Facebook), LinkedIn has become one of the biggest professional social media platforms, boasting over 380 million users in over 200 countries across the globe. LinkedIn is a place where you can showcase your job experience and skills to network with professionals in almost any industry or function. But do employers really use LinkedIn to assess and find potential candidates? We’ve done the analysis and can help you decide whether your LinkedIn profile truly is a necessary evil or just another webpage in the endless sea of the internet. Well, how often do recruiters use LinkedIn to seek out and find potential employees? One survey from 2014 reported that 94% of recruiters use LinkedIn to source and vet candidates, while a 2015 study claims that 87% of recruiters use LinkedIn as part of their process, compared to 55% who also use Facebook, and 47% who use Twitter. Regardless of which study you look at, the numbers are staggering. LinkedIn certainly isn’t a tool to be overlooked. While now there’s no denying that having a LinkedIn account can seriously augment the job finding process, it’s important to remember that just creating an account does not guarantee that you will attract potential companies. With only 36% of job seekers active on the site, a little bit of effort into building a profile can definitely pay off in the long run. Alternatively, reaching out and attracting recruiters may not be the only way to get noticed by a particular company. 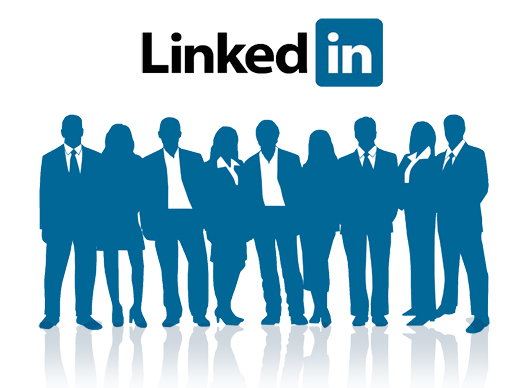 78% of recruiters report finding some of their best candidates through referrals from existing employees at a company, and LinkedIn can be a useful tool to network and connect with those existing employees. Finally, LinkedIn offers you the opportunity to showcase the side of your personality that extends beyond that one page of your resume. So don’t be afraid to use your profile to build a story about yourself that allows you to showcase your unique talents and interests! Unfortunately, yes, this does include uploading a photo of yourself. People with professional looking photos on their LinkedIn are 14x more likely to have their profiles viewed. In fact, having a professional LinkedIn photo makes your profile 14 times more likely to be viewed. But remember to remain professional. It should come as no surprise that over half of recruiters look negatively upon any posts about alcohol consumption. Bottomline: Yes, a LinkedIn profile can be useful, but only if you utilize it correctly and actively engage with recruiters and actively keep your profile updated. Looking for some easy ways to hack the recruiting process in your favor? Check out our resources on leveraging your network and optimizing your resume. If you want to further take the stress out of the job recruiting process by receiving personalized career data, tailored specifically to you – sign up for free. Still have any questions or comments? We love hearing from you Reach out.